This Post has already been read 1200 times. 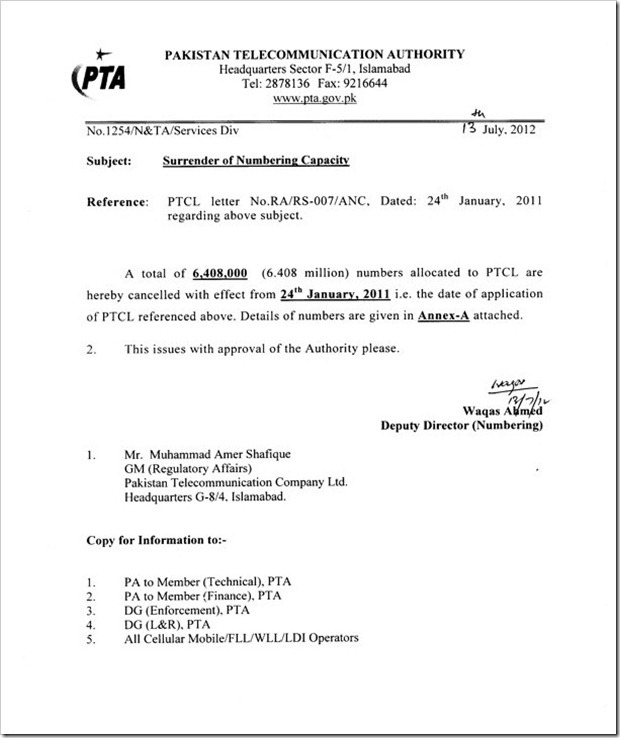 PTA has cancelled 59.6 million numbers allocated to PTCL, which the landing giant had requested to surrender in two different instances back in December 2010 and January 2011. 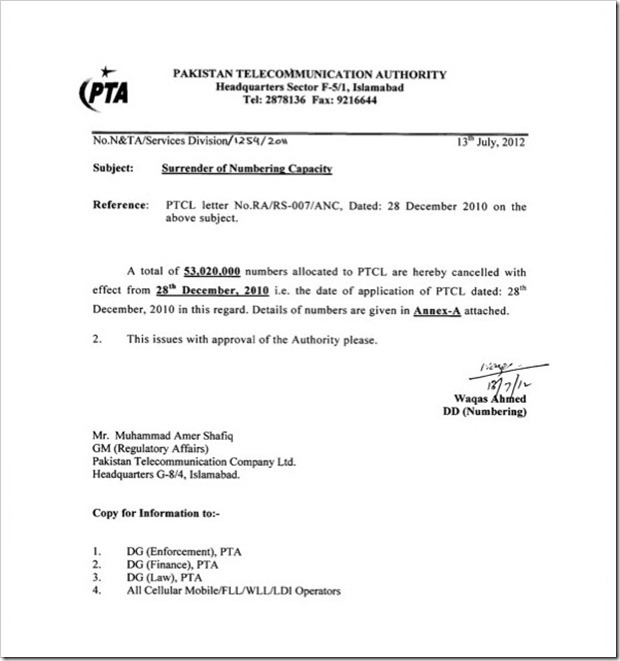 In two different letters issued to PTCL, PTA said that all the numbers that were requested for cancellation have been cancelled. It is unclear so far if PTCL will have to pay the charges for allocated numbers that remained allotted to it for 18 months, even after the company had requested the authority to cancel them. A PTCL spokesperson said that company will not pay the charges, and might go to court if numbering charges are imposed by PTA. Before cancellation of these 60 million numbers, according to estimates, PTA had allocated around 80 million landline and wireless numbers to PTCL. According to PTA, PTCL had 1.6 million wireless subscribers till March 2012 and another 2.9 million landline subscribers till December 2011.